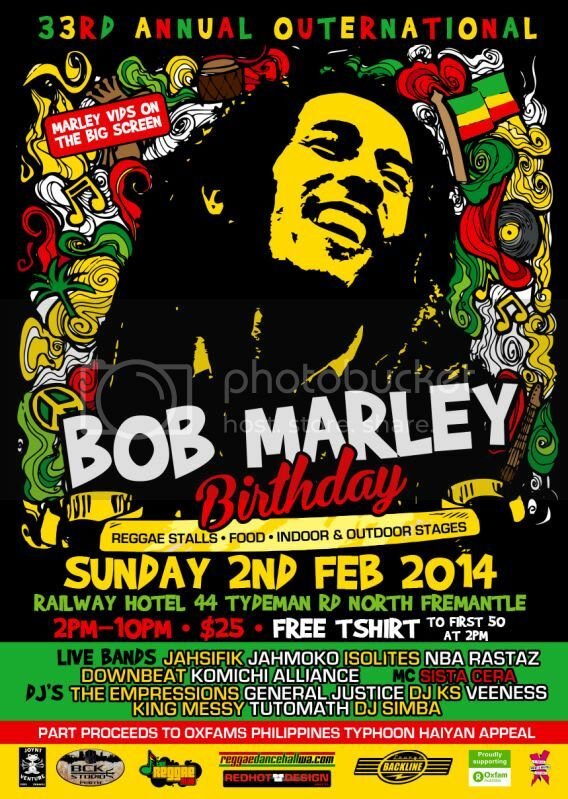 What music festival has been running for 33 years, donates part proceeds to Oxfam every year, gives the first 50 people through the door a free t-shirt, has food and merchandise stalls, 2 stages, outdoors and indoors, great vibes and showcases the very best in local, interstate and international reggae artists? and from RTRFM and Jah Wisdom GENERAL JUSTICE. 2 Stages (indoor and outdoor stage), Reggae Stalls and food available, Free reggae t-shirt to first 50 in at 2pm, tickets on the door $25 Part proceeds to Oxfams PHILIPPINES TYPHOON HAIYAN appeal.